Reserve your room and race registration for an unforgettable experience at the 2018 Sea Island Half Marathon, Presented by vineyard vines! Please note: The cancelation deadline has passed and all reservations are non-refundable. Click here to view your 2018 Race Results! Click here to view your 2018 Race Photos! Enjoy an unforgettable race weekend at Sea Island, where comfort is in every detail, and genuine Southern charm is in the air. 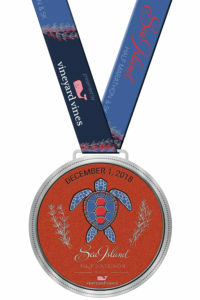 The Sea Island Half Marathon, Presented by vineyard vines and 5k is hosted by the world-class Sea Island Resort – the only resort in America to receive four Forbes Five-Star awards for ten consecutive years. Runners in either distance will enjoy a beautiful course with a minimal elevation gain, followed by a post-race champagne brunch. 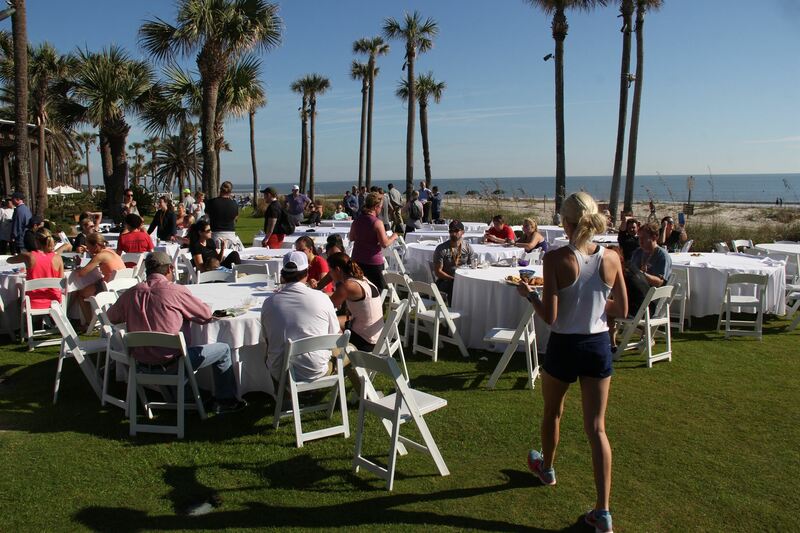 This event is limited to just 1,000 participants and provides exclusive room and race packages featuring Sea Island’s world-class accommodations at The Cloister with added amenities including a pre-race breakfast basket, Saturday evening cocktail hour, and Sunday morning yoga. Sign up and book your stay today, and look forward to an unforgettable race experience this December! 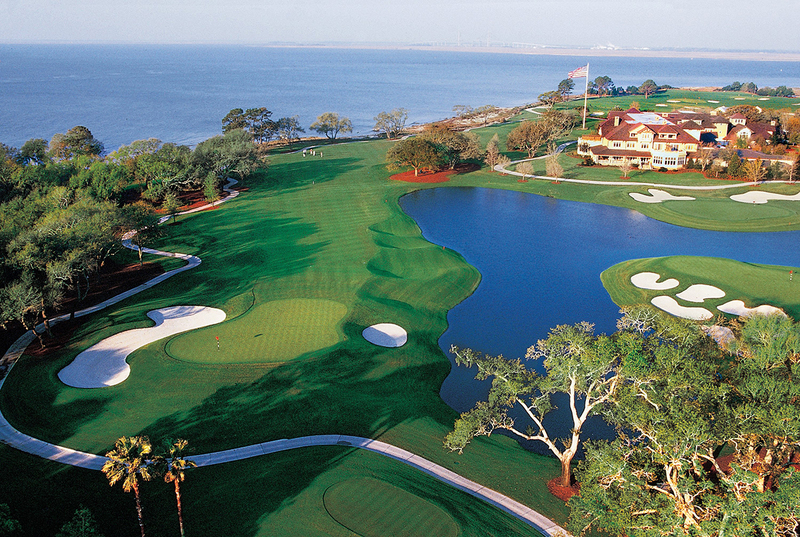 The race will be held at the Sea Island Resort in Sea Island, Georgia. Where can I book my race package, room or race registration? The race is on Saturday, December 1, 2018. The official start time for the half marathon and 5k will be 7:15am. • 2:30pm – 4:30pm at The Inn (100 Salt Marsh Drive, St. Simons Island, GA 31522). Any runner can pick up their packet at this time. • 5:30pm – 7:30pm at The Colonial Lounge at The Cloister (100 Cloister Drive, Sea Island, GA 31561). Only runners staying at The Inn, The Cloister, or Sea Island members may pick up their packets at this time and location. • 5:15am-6:15am for the half marathon near the start area at Rainbow Island (130 Sea Island Rd, Saint Simons Island, GA). • 5:15am – 6:15am for the 5K near the start area at The Lodge (100 Retreat Avenue, St. Simons Island, GA 31522). Ample parking will be available for all participants. Shuttles provided from the Inn or the Cloister between 5:15am-6:45am will be the only way to access the half marathon start line. All Inn guests and non-resort guest runners will park at the Inn or surrounding lots and take the shuttle from the Inn to the start line. All Cloister guests will take the shuttle from the main entrance of the resort to the start line. Parking will be available for Inn guest and non-guest 5K participants along the Avenue of the Oaks near the Lodge. All Cloister guests will take a shuttle to the 5k start line. The race is limited to the first 1,000 participants, regardless of distance! Yes, all finishers will receive the beautiful finisher medal below! We will do all we can to make sure the Sea Island Half Marathon, Presented by vineyard vines and 5k is produced as planned, but runner safety is always our top priority. If we have to cancel the race because of weather or circumstances outside our control, refunds will not be issued. Awards will be given to male and female overall based on gun time and age group winners based on chip time. Overall awards for the 5k will be presented at 9:00am, and age group awards may be claimed at the Resort Races Collection Customer Service tent following the awards presentation. Overall awards for the half marathon will be presented at 10:00am, and age group awards may be claimed at the Resort Races Collection Customer Service tent following the awards presentation. Winners must be present to receive their prize; awards will not be mailed out. Race refunds will not be issued for any reason, however hotel reservations can be canceled and fully refunded up to 30 days prior to the event. Race packages will be refunded minus the cost of the race entry up to 30 days prior to the event. Yes, you may change your race distance on our website here, up until Friday, November 23. After this time, you must change your race distance in person at packet pick-up or on race morning. Please note: If you do not change your race distance either online or in person with a Resort Races Collection staff member prior to the race start, you will be disqualified from the event. Yes, you will be able to register on race day AND at packet pick-up, as well as online up until one hour prior to the race – though you must pick up your bib in time to race! Runners will need to take a shuttle from the Inn to the start line at Rainbow Island, so you will need to plan for plenty of time to get to the start line to register before the race starts. Please note if participant limits have been reached, then race day registration will not be available. Yes, however, you must meet the requirements of the completing the race in 3:15 hours or less (any distance). Anyone still remaining on the course will be asked to finish the race on the sidewalk. Relax and a post-race champagne brunch after your race! 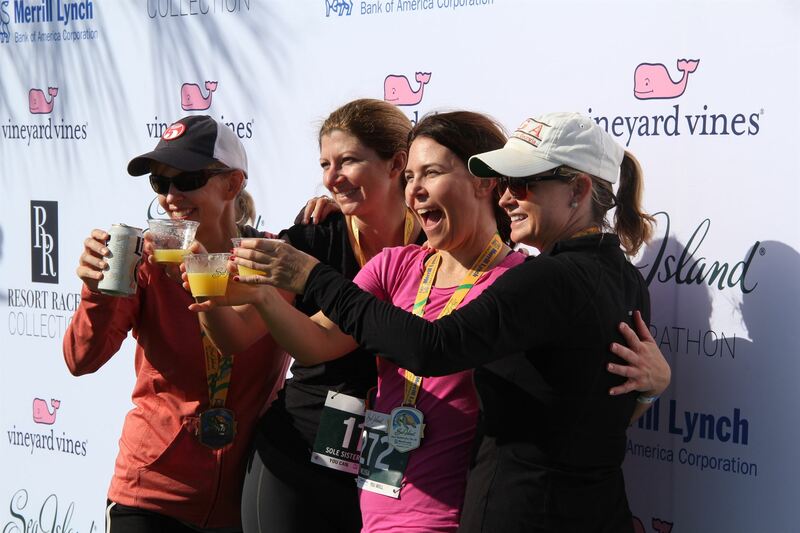 The Sea Island Half Marathon, Presented by vineyard vines and 5k will provide an unrivaled destination race experience like no other! From your arrival to departure, you’ll enjoy an incredible race vacation at Sea Island Resort, where comfort is in every detail and genuine Southern charm is in the air. View the 2018 Sea Island Half Marathon, Presented by vineyard vines course map below! Sea Island is the only resort in America to receive four Forbes Five-Star awards for ten consecutive years. Since 1928, Sea Island has been known as an exceptional destination appealing to those who appreciate gracious service and heartfelt hospitality. With four Forbes Five-Star experiences — The Cloister at Sea Island, The Lodge at Sea Island, The Spa at Sea Island, and the Georgian Room restaurant – Sea Island entices families, outdoor and activity enthusiasts, and those simply wanting to refresh and recharge. 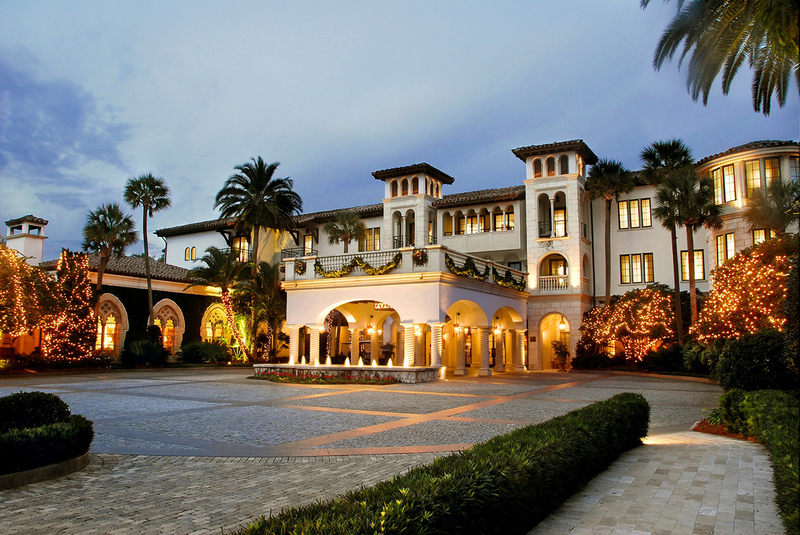 Located on the southeastern coast of Georgia, Sea Island features five miles of private beach, a Beach Club, Tennis Center, Yacht Club, Shooting School, and Camp Cloister. Sea Island is home to three championship golf courses, including Seaside and Plantation, home of the PGA TOUR’s RSM Classic, as well as the nation’s finest Golf Performance Center. 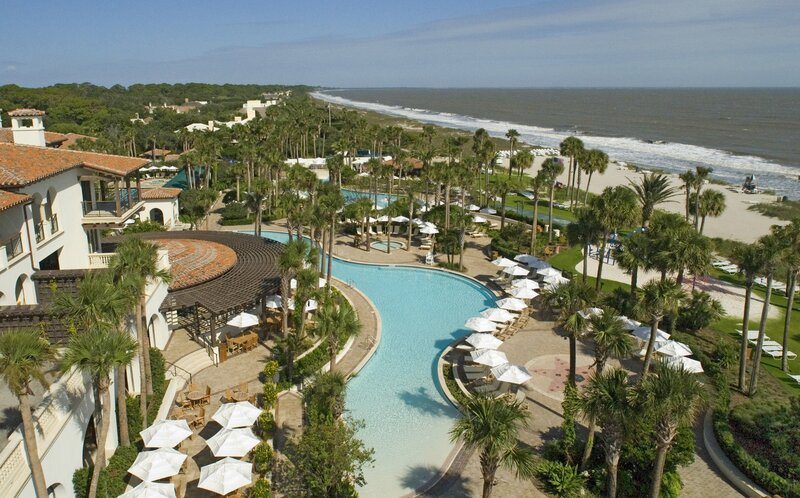 Register and book your stay at Sea Island! There’s only one Sea Island, but there are endless ways to enjoy it. The Cloister is lively and inviting. The Lodge, warm and distinctive. Enjoy the fresh casual setting of The Inn. Have a place to call your own with a Cottage. The Cloister is elegant and legendary. Comfortable and fun. And offers gracious accommodations in three equally charming settings. 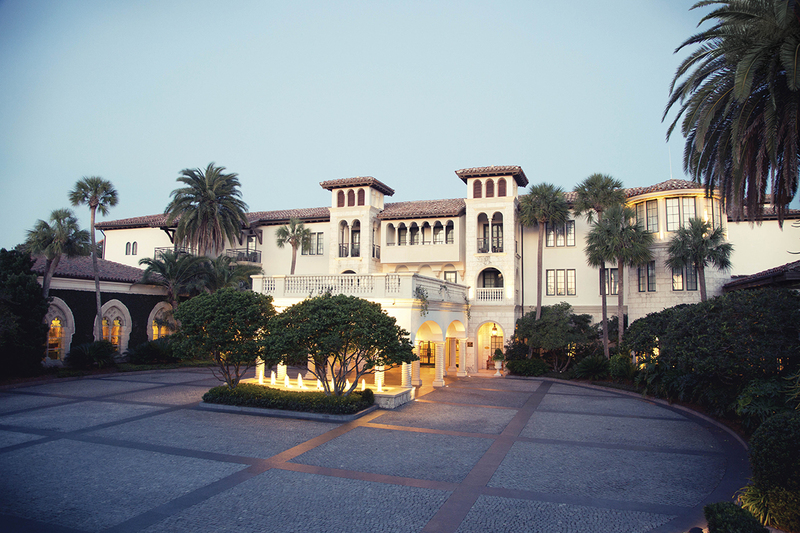 The Cloister Main Building & Wings are perfectly situated near the Sea Island Yacht Club, The Cloister Spa and Fitness Center, and Tennis Center. The Cloister Beach Club is steps away from five miles of private beach, three swimming pools, and water sports and activities. And The Cloister Ocean Residences offer seclusion in a private, gated enclave with an oceanfront infinity pool. All are impeccably designed in Spanish Mediterranean décor and are very welcoming. At The Lodge you’re surrounded by stunning views of the Atlantic Ocean, and three spectacular championship golf courses. With 43 rooms, The Lodge is equal parts intimate hideaway and Forbes Five-Star hotel. The best of both worlds. Situated on the site of an antebellum plantation whose ruins are still visible, it is enchanting and welcoming. A welcoming lobby with rich wood beams, soft cozy sofas, and a crackling fireplace. The heated outdoor pool and the vibrant outdoor area with its wicker loungers, deep comfy chairs, and bold bright stripes, look inviting before you even set foot outside. 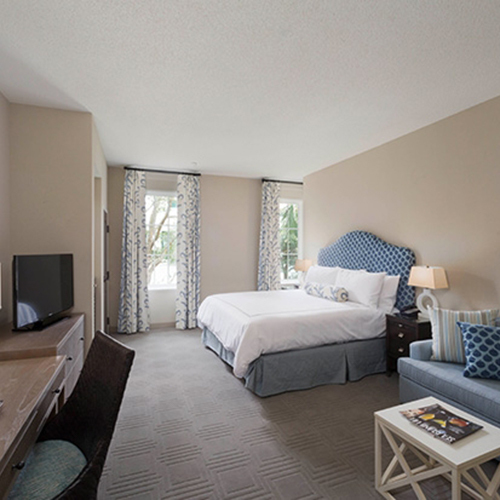 The Inn, located on St. Simons Island, embodies the same spirit, charm, and warm hospitality as The Cloister and The Lodge, without the Forbes Five-Star distinction. Cottage rentals at Sea Island are spacious and convenient, and offer a variety of settings—along the ocean or with sweeping views of the vast salt marsh and tidal creeks. Featuring all the privacy of a personal home, with complete access to everything Sea Island offers—dining, golf, tennis, spa, the Beach Club, and fun-filled days of exciting activities and adventures. Known for its wide variety of family and nature activities, Sea Island offers enhanced outdoor programming and sports to challenge the body and mind. Sea Island’s on-staff experts have curated programs designed to intrigue guests, as well as encourage exploration and interest in nature and ecology. The waterways that surround Sea Island offer some of the best year-round fishing on the east coast. With a fleet of customized boats, fishing is available anywhere from shallow water creeks off the island to 80 miles offshore in the Gulf Stream. With a beach that stretches for miles and an abundance of salt water marsh lands, Sea Island was made for exploring. Dip a crab net from the dock. Take a walking tour through marsh and maritime forest. Go shelling on the beach. Find the best birding spots—and maybe even a bald eagle or an osprey. There’s no better way to experience the beauty of tidal marshes, rivers, and the wide-open sea. Take the family on a dolphin nature tour aboard the Cloister Belle, Sea Island’s vintage yacht. Enjoy a private, scenic, leisurely ride. Or indulge in a romantic prelude to dinner. The Sea Island Tennis Program includes The Cloister Tennis Center, Stadium Court, and Retreat Tennis Center. Boasting 16 Har-Tru® clay courts and professional instruction. Sea Island’s gracious hospitality extends from its unparalleled accommodations and engaging activities to a remarkable range of dining options. Under the expert direction of Sea Island Culinary Director Jonathan Jerusalmy, MCF-ACF, each restaurant offers a unique take on regional flavors. The passionate farm-to-table approach of Sea Island’s culinary team informs every aspect of its craft. Each restaurant’s culinary excellence is maintained through a strong relationship with local farmers, butchers, fishermen and artisans, whose freshest products are incorporated into each innovative menu. 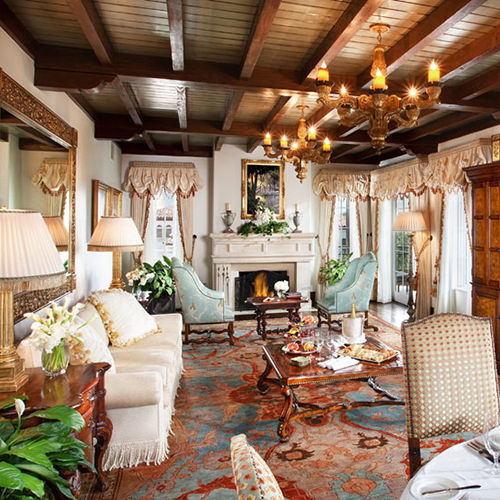 At the core of Sea Island’s culinary spirit is the Georgian Room. Artful interpretations of refined Southern cuisine by the Georgian Room team are served in a rarified setting trumped only by their culinary prowess. The restaurant has been honored 10 times with the coveted Forbes Five-Star status. The Georgian Room team transforms slow-food classics into refined delicacies. Guided by a “farmer’s mission” for organic purity, they create ingredient-driven, regionally inspired dishes. Flavors are clean and sophisticated and are artfully plated and paired by the restaurant’s expert sommeliers. With a warm and inviting ambience, Tavola pays homage to its rustic Italian concept, giving guests the opportunity to interact with the chef, who tosses pizza, slices prosciutto, and stokes the fire in our Mugnaini wood burning oven. Signature Items blend a classical Italian approach to Bolognese and “The Tavola,” a wood fired pizza with house made sausage, rapini, and smoked gouda, and the daily catch, featuring locally sourced seafood. The energetic environment of the River Bar at The Cloister presents a casual yet decidedly delicious alternative. Set beside the gentle current of the Black Banks River, the River Bar’s simple elegance is captured in bare wooden tables, a richly carved ceiling, and handsome wrought-iron chandeliers. The menu features classics of both The Cloister and of a French Brasserie. A playful cocktail menu features Southern classics such as Mint Juleps made with Woodford Reserve Bourbon and Sazeracs – a New Orleans original and the world’s first cocktail. 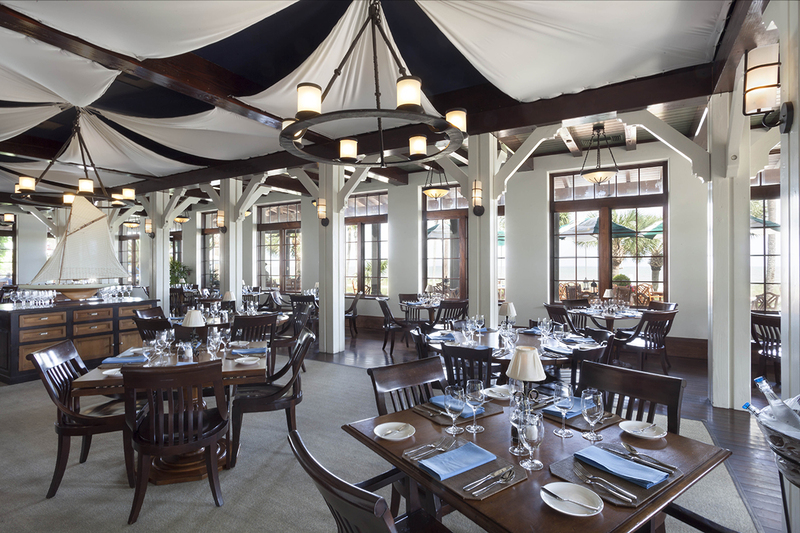 Within the Beach Club, Southern Tide, Sea Island’s ocean-side restaurant, overlooks the dunes of Sea Island Beach and the Atlantic Ocean. Honoring the traditions of Sea Island, Southern Tide taps into the strong southern influences that are the foundation of such menu items as Shrimp and Grits with Logan Turnpike grits in an Andouille cream sauce and a Southern Fried Chicken Dinner. The Wonderland sweet shop turns Sea Island into every kid’s “Charlie and the Chocolate Factory,” with 15 different ice creams to choose from and over 65 varieties of candy. For a tavern setting with a gourmet twist, the Oak Room at The Lodge proves unmatched. The relaxed tavern is lined in oak, is appointed with leather ceilings, and features hand-painted murals and a rustic fireplace. Outside on the terrace, sprawling views across Plantation Golf Course and St. Simons Sound unfold – a supreme backdrop for a refreshing lager or a single-malt scotch while the bagpiper plays at sundown. Surrounded by historic golf photos and memorabilia, devotees can dine at Sea Island’s classic steakhouse, Colt & Alison, whose menu includes some of the finest USDA wet- and dry-aged beef along with local and imported seafood specialties. Restaurant sommeliers pair each dish with masterful recommendations, while wait staff demonstrate the flair of tableside prep to perfection via tossed Caesar Salad or flaming Bananas Foster. Located at the Retreat Clubhouse, the Davis Love Grill is Sea Island’s sports pub. At lunch and dinner, the menu offers a mix of modern club cuisine and nostalgic club favorites, as well as a wide selection of cocktails, wines on tap, and craft beers, topped off with the option of viewing virtually every televised sporting event available. 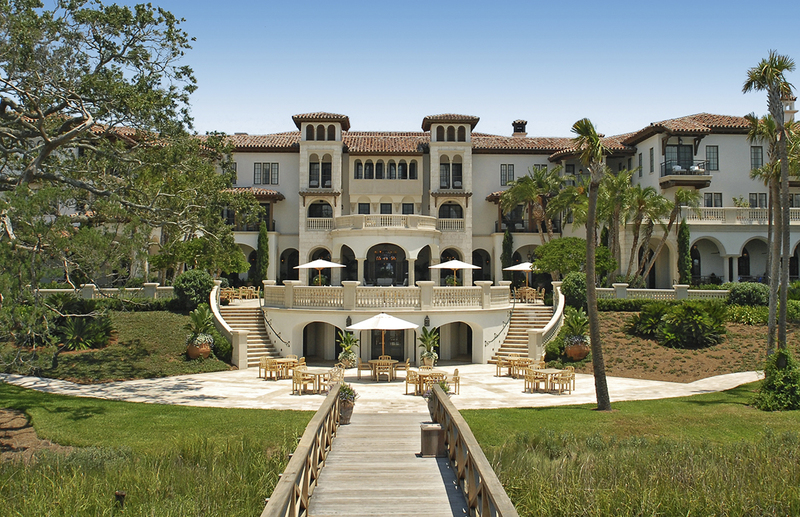 Sea Island is the world-class home to a Forbes Five-Star spa and a cutting-edge fitness facility. That’s 65,000-square-feet of expert staff, therapists, consultants, traditional treatments, innovative technologies, fitness programs, state-of-the-art equipment, and customized therapies. The moment you set foot into The Spa at Sea Island, it’s like stepping into your happy place. In a space that brings the outside in. Towering palms above, smooth stones below, and the gentle trickle of water all around set a peaceful mood. The treatments are superb and the space is second-to-none. From deeply relaxing to highly energizing, we have the right treatment for you. Southern Comfort, Heavy Hitter, Sole Soother, Mama Mia, Two to Tango. You’re in very good hands. View Massage Treatments. The Remedy, The Lift, Adult Time Out, Take it All Off, or A Little of Everything. Our body treatments will leave you fresh. Glowing. And completely energized. View Body Treatments. Put our newest HydraFacial MD® machine through its paces. Couple with any of our facials: Plump You Up, Make Waves, Time Fighter, Save Face. Everything you need to put your best face forward. View Skin Care. Muscles tense from a hard-fought tennis match? Tightness in the back hampering that perfect golf swing? Or just need to unwind a bit? The Spa is the place for you. View Services for Men. Melt away teenage stress with a massage. Get a selfie-ready facial or Glam it Up. Add a little twinkle to the day and a sparkle to your little one’s eye. View Services for Kids and Teens. Prepare, perform, and recover. Enjoy a three-minute deep freeze cryotherapy session to reduce pain and inflammation. Increase range of motion with a performance massage. Sea Island Resort features three championship 18-hole courses, top instructors, and an award-winning Golf Performance Center. At Sea Island, Davis Love III learned how to play golf from his father, practiced with his brother, and introduced the game to his son. His story could easily be the story of any Sea Island guest. Because where else can you get three championship 18-hole golf courses, top instructors, and an award-winning Golf Performance Center, with everything else there is to discover at Sea Island? From juniors just starting out to PGA champions—and everyone in between—there’s no better place for a golfer to learn and grow. Technologies and facilities that reach into the future, in a setting that honors traditions of the past. Play in the tradition of legendary Scottish links style, surrounded by tidal creeks, dunes, salt marshes, and the Atlantic Ocean. Seaside is both challenging and enjoyable. View the course. You’ll love the expansive fairways. Under ancient live oaks, you’ll find a lot more to love. Lakes, blooming flowers, magnificent ocean vistas. And a great day of golf. View the course. Surrounded by towering Georgia longleaf pines, sleepy native oaks, and dramatic greens, players of all levels will enjoy this course. View the course. Discover some of the world’s finest practice facilities, right next to the ocean. Find covered hitting bays for teaching, chipping greens, putting greens, a GEARS studio, and an indoor putting lab. Top instructors, including two of Golf Digest’s Top 50 Teachers—swing instructors, club fitters, fitness instructors, a putting instructor and a mental coach. The Sea Island Golf Performance Center has everything you need to improve your game. And have fun doing it. Learn more. Playing golf with family. There’s nothing like a carefree day together on the course. An exciting new family tradition. Whether you’re a junior just starting out or ready to compete at a national level, we have everything you need to sharpen your skills. The best part? No green fees for those under the age of 19. Find out more. Short on time and want a quick round? Play 9 holes on any course. Want a fun experience for the whole family? Family tees, family golf clinics, and Kids Tee for Free make bonding a hole in one! Find out more. 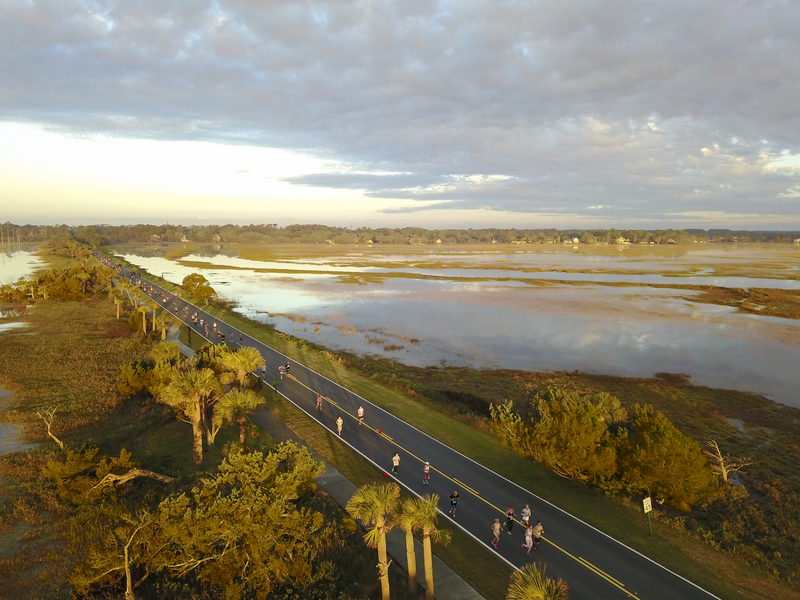 The Sea Island Half Marathon and 5k will provide an unrivaled destination race experience like no other! From your arrival to departure, you’ll enjoy an incredible race vacation at Sea Island Resort, where comfort is in every detail and genuine Southern charm is in the air. Sea Island Resort is the only resort in the world to achieve four Forbes Five-Stars 10 years in a row. The post-race party for the Sea Island Half Marathon, Presented by vineyard vines will be unlike any post-race party you’ve seen! Relax while celebrating with a Champagne Brunch prepared by Sea Island’s exquisite culinary team and a live band! Enjoy a delicious brunch spread along with bottomless mimosas and craft beer! One ticket to the post-race party and Champagne Brunch is included in each registration, and additional tickets are available for purchase for any spectators wishing to join the fun. The post-race party will be held from 8:00am to 11:30am. Purchase additional post-race party tickets. There’s only one Sea Island, but there are endless ways to enjoy it. Elevate your race weekend experience and enjoy full weekend amenities with one of our Race Weekend Packages. 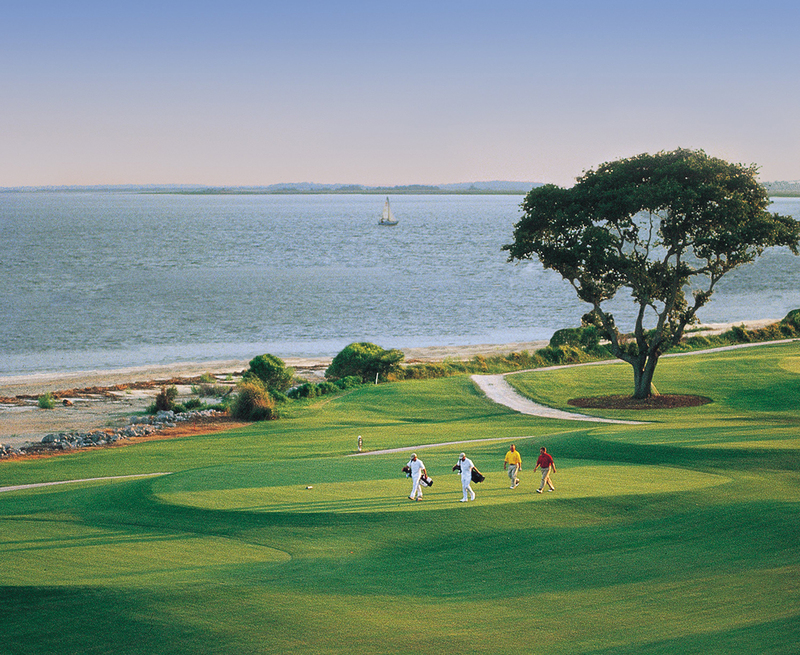 Enjoy all the amenities Sea Island has to offer in three equally charming settings. The Yacht Club, The Cloister Spa and Fitness Center, and Tennis Center. The Cloister Beach Club is steps away from five miles of private beach, three swimming pools, and water sports and activities. The Cloister is elegant and legendary. Comfortable and fun. This race package offers gracious accommodations associated with a stay in The Cloister Guest Room or Suite, plus a free race entry to the Sea Island Half Marathon, Presented by vineyard vines or 5k! Fuel up on race morning with a breakfast basket delivered to your room and take a shuttle to the start line. Afterwards, you can relax and celebrate your race at the Champagne Brunch. Stay Friday night and enjoy a complimentary Pre-Race Breakfast Basket. Stay Saturday night and enjoy two complimentary tickets for the Saturday Evening Cocktail Hour and Sunday Morning Yoga. Extend your stay before or after Race Weekend and save on room rates! The Inn, located on St. Simons Island, embodies the same spirit, charm, and warm hospitality as The Cloister and The Lodge, without the Forbes Five-Star distinction. A welcoming lobby with rich wood beams, soft cozy sofas, and a crackling fireplace. The heated outdoor pool and the vibrant outdoor area with its wicker loungers, deep comfy chairs, and bold bright stripes, look inviting before you even set foot outside. 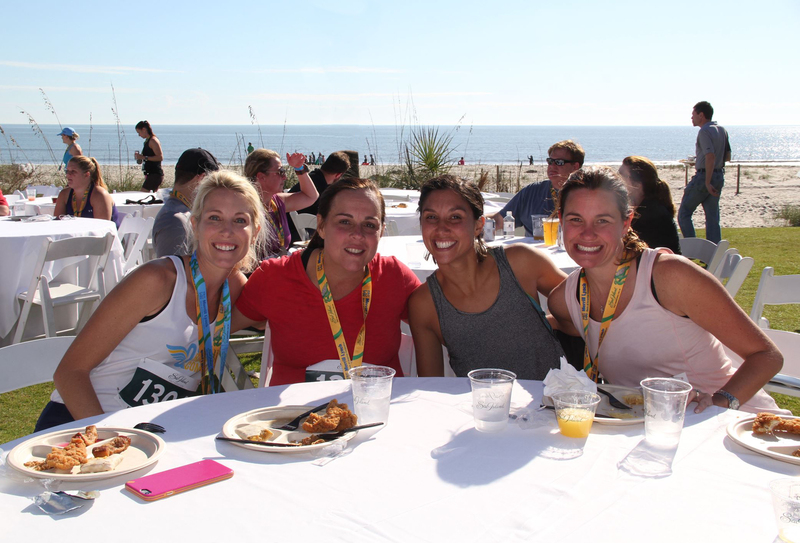 This race package offers the gracious accommodations associated with a stay in The Sea Island Resort, plus a free race entry to the Sea Island Half Marathon, Presented by vineyard vines or 5k! Afterwards, you can relax and celebrate your race at the Champagne Brunch. 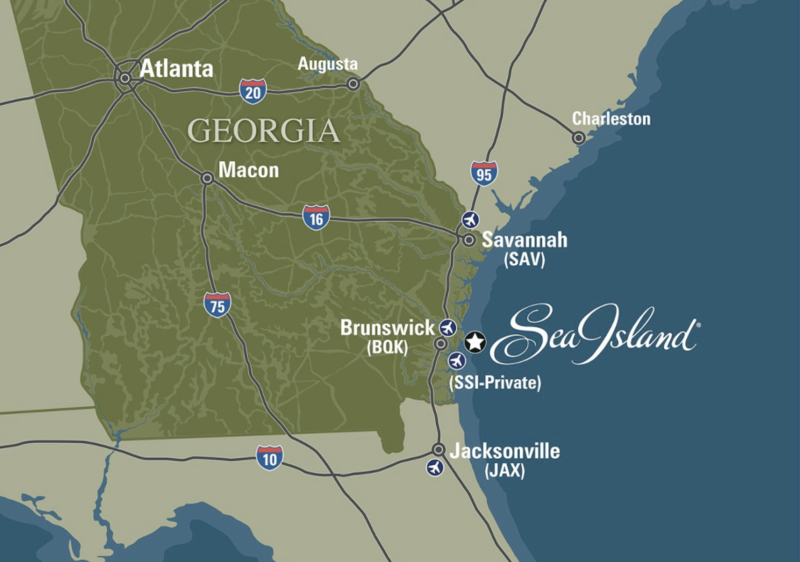 Sea Island is conveniently located between Jacksonville and Savannah international airports. Sea Island is part of a beautiful chain of barrier islands tucked into the Atlantic Coast of Georgia. 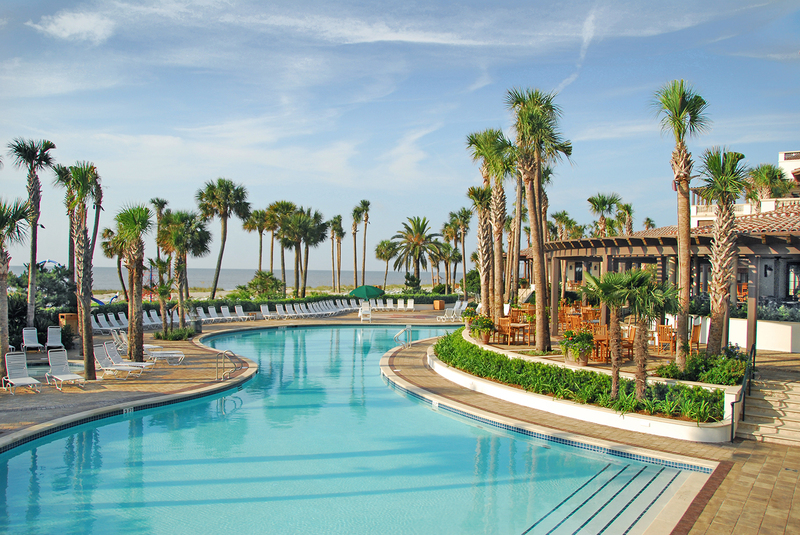 With breathtaking landscapes, golden pristine marshlands, and stretches of gorgeous coastline, Sea Island has been an unforgettable resort destination since 1928. Conveniently located between Jacksonville and Savannah international airports, Sea Island’s truly stunning setting attracts guests from around the world. Discover what makes this award-winning property a perennial favorite.